This is why womens are problem. Womens is harding to be hombul somebody. Womens is a prouding somebody. Is hard say womens is Rasta. Rasta is dey hombul. Rasta can posibul to lie down like footmat and pipuls are match am to enter Zion. Rasta is even remain small thing to be angel. But see wetin Omotala is do with Funke. Proud is go bifor four. Devil is happy for you. Satan is dey around us like rolling lion weyris look for Ja chuldrens to divawa. 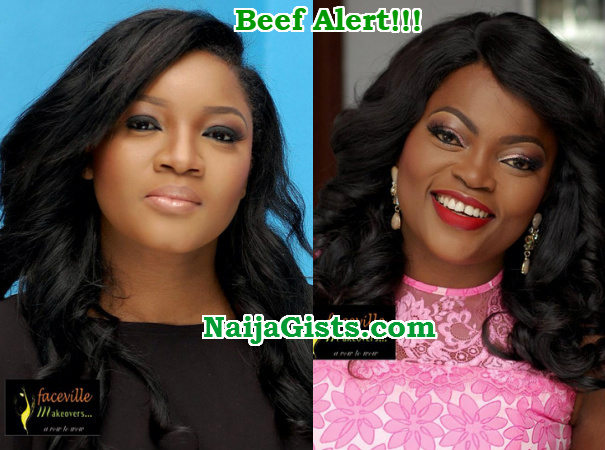 Omotola and Funke is divawa by Satan. Is bad. Is omotola funke’s mate. Omotola and funke are not on the same level and not friend as well. Is it by force to wish or attend someone birthday? You people should never put onotola and funke on the same level.funke is local while omotola is international. president in this country. Guys what do you think this country will turn into?